This Beldray toilet seat will fit in with your bathroom perfectly, the white tongue and groove design suiting any colour scheme. Made with zinc alloy hinges, the seat is stronger and sturdier than most. Quick and easy to fit in minutes, the hinges make the seat incredibly easy to attach as well as providing extra strength so the seat stays in one place. 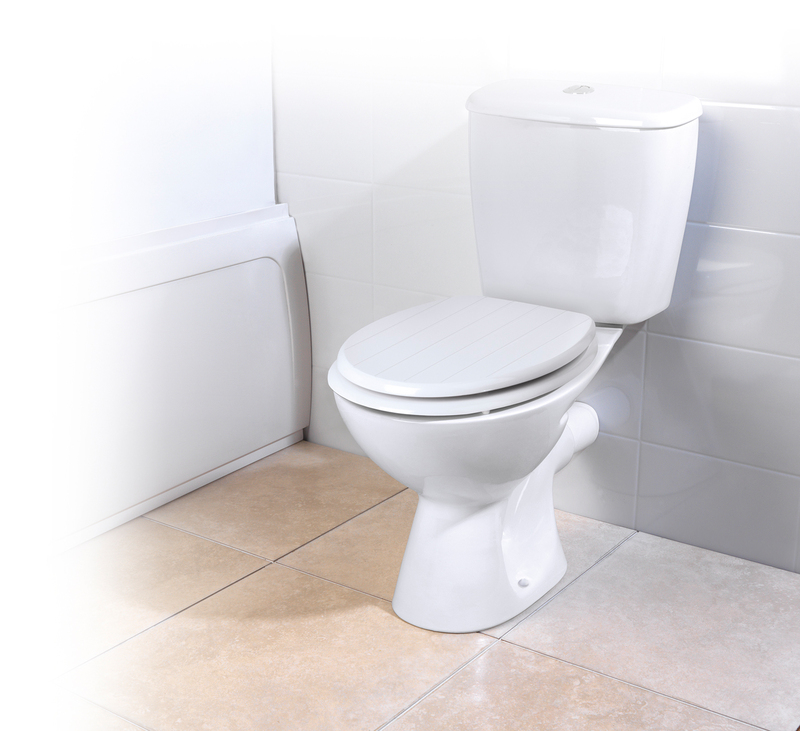 Made with MDF material and in a pleasant rounded shape, the toilet seat provides luxury seating comfort along with being very easy to clean. Measuring at 360 x 429 mm the seat fits most standard size toilets and you will be able to attach it to your toilet effortlessly. With a pristine white finish, the toilet seat is a perfect addition to your bathroom and will match with any colour scheme or style.